It seems that the Huettel Lab has lost a number of great people lately, with the latest being Sara. We say goodbye to Sara as she moves on to become a graduate student at Stanford. While Sara was here at Duke, her research focused on the neural basis of reward and emotion in healthy young adults and those with psychiatric disorders. At Stanford, Sara will be working in Ian Gotlib’s Mood and Anxiety Disorders Lab, where she hopes to utilize the skills in fMRI research that she already has and further her understanding of how depression and anxiety affect the human mind. While Sara’s optimism and hard work will be missed, we’re happy to see her progress towards her goal of obtaining her doctoral degree. We know she’ll miss the beautiful summer Carolina weather when all she has is that bland, monotonous 80-degree-highs-in-the-summer-with-no-humidity stuff, but again, we have confidence that Sara can adapt. She’s tough. Cheers Sara! Youngbin’s abstract has been selected for a 2013 Associate Member Select-Speaker Award from the Psychonomic Society. As one of only ten selected abstracts, Youngbin will be attending the Psychonomic Society Annual Meeting in Toronto in November to present her research. Congrats Youngbin! Sadly, we must say goodbye to Steven Stanton. Dr. Stanton has recently left Duke to join the faculty at the Oakland University School of Business Administration as Assistant Professor of Marketing and Adjunct Assistant Professor of Psychology. Dr. Stanton was a postdoctoral research scientist who worked with Dr. Kevin Labar, Dr. Huettel, and others during his time at Duke. His research focuses on the psychological and physiological factors that influence consumer behavior, decision making, and social behavior. 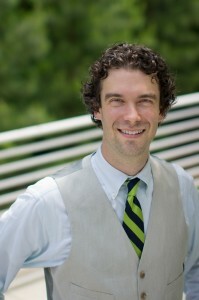 The research that Dr. Stanton conducted at Duke was featured in television, radio and print outlets including the New York Times, National Public Radio, CNN, Newsweek, and Scientific American. We’ll miss Steven and his impeccable sense of style, but we know that Oakland University School of Business is gaining not only a fantastic researcher, but also a great person. Cheers Steven!